As a photographer, I love to look at other photographers' work, especially others who work with musicians. My library contains work by Mick Rock, Bob Gruen, Ethan A Russell (who I also saw recently in Folsom, talking about his photos and experiences with some of the great bands of the sixties and seventies). I have both single-photographer books and compilations. Why? For two huge reasons: one, as a music fan, because they provide insights into the music, the people, and often the life-behind-the-music, and two, because as a photographer, I believe that you learn by seeing, and by seeing what other photographers have done, and by thinking about what you can learn from them. 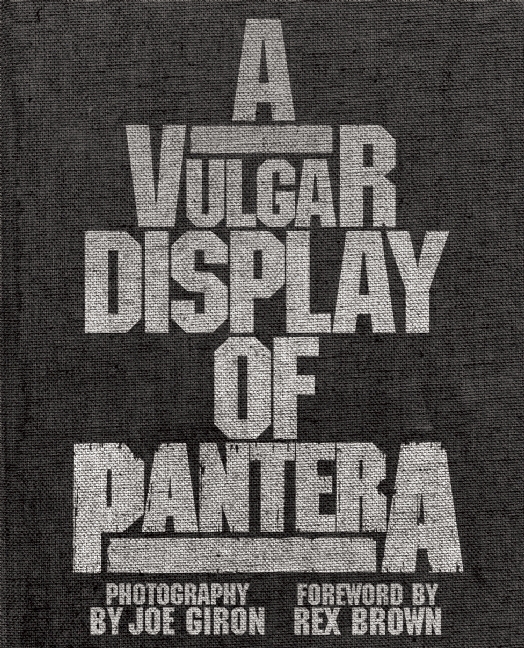 So the new book, A Vulgar Display of Pantera, with photographs by Joe Giron and a foreword by Rex Brown, to be released on September 13th by Lesser Gods, caught my eye. 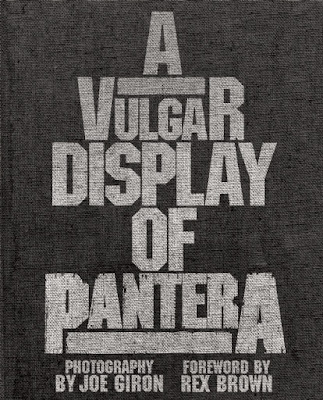 It's coffee-table format, hardback, 400 pages, full of double-page spreads and behind-the-scenes shots and stories from both bassist Rex Brown and drummer Vinnie Paul Abbott. It's the authorized photo-history; all the way through from 1983 for two decades of Pantera. 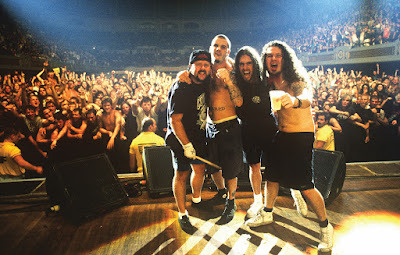 And the book is organized by date, so if you remember which Pantera shows you attended, you'll be easily able to find the gig and maybe yourself in the crowd shots!